Happy weekend! Nick took a last minute day off on Friday, so we had a wonderful family day! My sparkly little Etsy shop was bombarded with orders over the last few days, so it was nice having my "manny" home all weekend to entertain Avery while I worked away. I haven't offered up many party planning tips lately (but trust me, there are a bunch of fun parties in the works including Avery's 3rd birthday party & a bridal shower for my seester-to-be!) 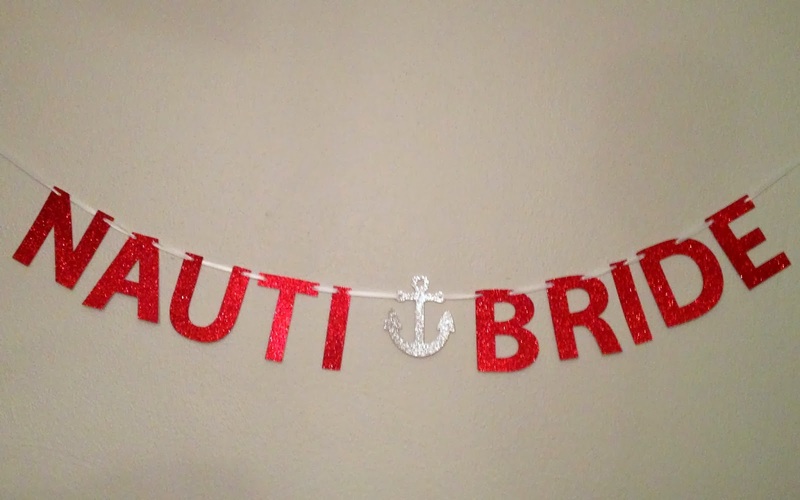 so I just wanted to quickly share a fun bachelorette party theme - Nautical. I originally made a couple of themed banners as a request from a client, threw them up in my shop just for fun, and turns out - they are selling like hot cakes! 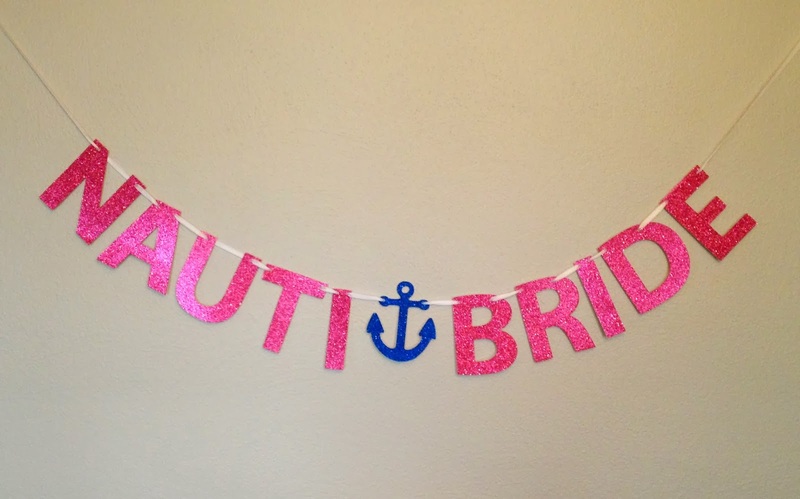 A nautical/sailor/pirate bachelorette party is apparently a hot one!